1. Mass and volume of four blocks below are same. Which is the smaller pressure exerted by block on the floor? Based on this formula it is concluded that pressure (P) is directly proportional to force (F) and inversely proportional to surface area (A). The larger the force, the larger the pressure. The larger the surface area, the smaller the pressure. The smallest surface area has the greatest pressure. 4. The force of 500 Newton works on a surface of 2.5 m2. Determine pressure. 5. 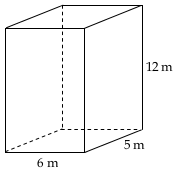 Mass of a box = 75 kg and acceleration due to gravity (g) = 10 m/s2. Determine the pressure on the floor. 6. Mass of a box is 24 kg. Acceleration due to gravity is 10 m/s2. Determine the pressure on the floor.